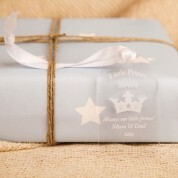 A personalised gift tag is perfect for attaching to a baby prince's gift. 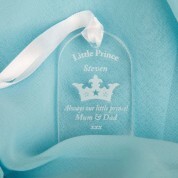 We personalise each tag in house so can add any boy's name and your personal message. 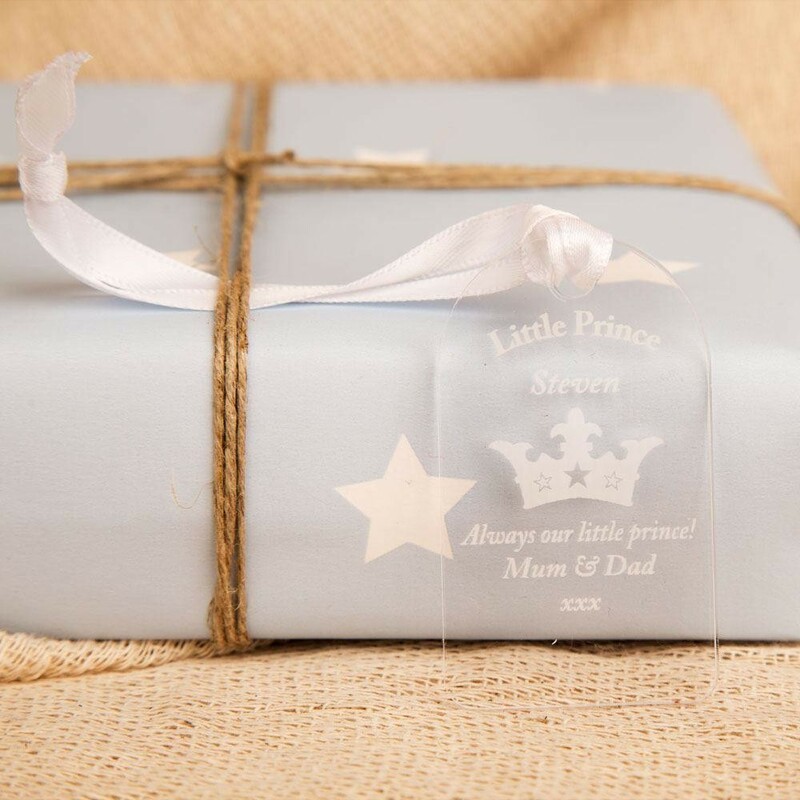 It will make your gift stand out from the others and the tag can be kept as a keepsake after the present has been unwrapped. 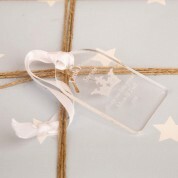 The loop of white ribbon attached to the tag makes it perfect for hanging it up in the home on a cupboard handle or pin board.